Enjoy the beautiful Jellyfish Tropical Fish Aquarium without the hassle of cleaning and maintenance. 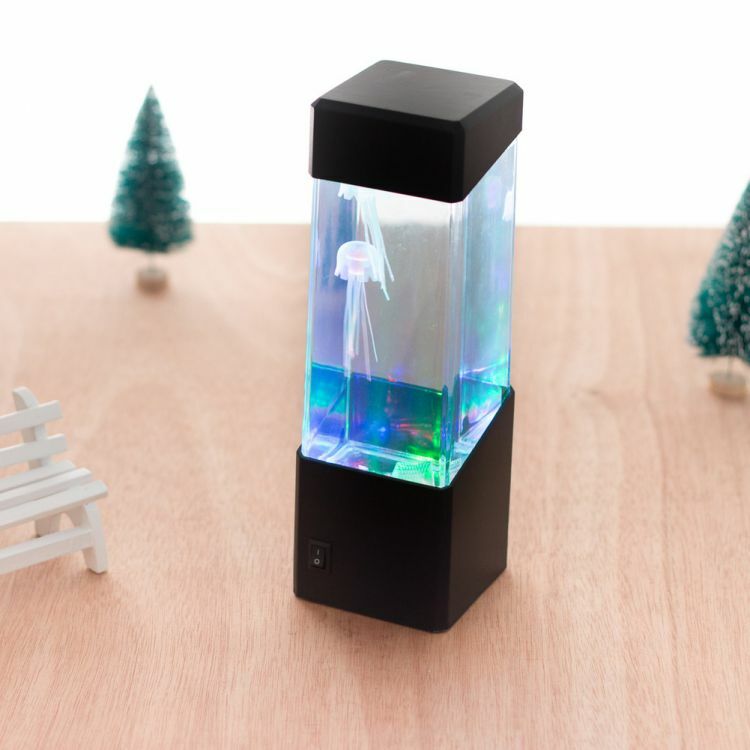 Features: LED lights in the aquarium base give off multi-colored glow. Easy to use: just add some water and put the artificial jellyfish into it, then push the button. A great gift for your kids and friends and also perfect as a decoration during festive season at home!